YOGA STUDIOS/STUDENTS: Please contact me if you would like any workshops brought to your studio! Come take an in-depth look at the practice of standing on your hands! This offering has specifically been created for those who are handstand beginners as well as more experienced practitioners. Prepare to deepen your understanding of the basic biomechanics of balancing on your hands, while deconstructing each individual element that collectively creates a solid inversion practice. Wrist, shoulder, and core strengthening drills, the art of safely and intentionally falling out of your inversions, and the implementation of props, walls, and partner work will leave you with an abundant variety of skills and drills to build your practice from the ground up. I can’t wait to get vertical with you! What allows you to stand tall? You might be surprised to learn that we do not stand upright due to a rigid skeleton with muscles and ligaments attached. Our bones actually float in a myofascial matrix and we stand tall thanks to a delicate blend of tensile and compressive forces called Tensegrity. In this workshop, we’ll explore that very concept by using therabands, blocks and the wall as feedback mechanisms to help feel, internalize and grow the principle of tensegrity throughout the body. We’ll work on radiating out from within while engaging opposing actions and see how far we can stretch our internal consciousness. Great for building strength and control throughout your entire joint range of motion. Join us for this unique and intelligent approach to better understanding the wide scope of your body, and how we function as fluid and integrated organisms. Ever heard a teacher cue you to lift your pelvic floor or breathe into your pelvic floor and thought, “Excuse me? 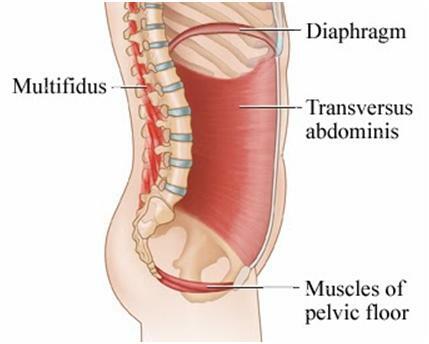 Hmm?” Come learn all about the pelvic floor muscles (you technically have three floors! ), what they do, how they work and why they are so vital for our support and structure. We’ll learn how to engage them (not with Kegels! ), how to let them go (so important!) and do lots of movements to help awaken our deep core stabilizers in connection with the breath. This is a great workshop for pregnant moms, new moms, not so new moms and men. Yes men- You ALSO have a pelvic floor and deep core that could probably use a little love! Think you know what your core is? Come explore your center in a revolutionary way with this workshop which focuses on the rib basket, pelvic bowl and deep muscles in-between (NOT your abs). I’ll explain the concept of The Golden Egg, how it is transformational in allowing you to sense and correct misalignment in almost any pose and how it’s vital for proper breath control. We’ll awaken the Four Pillars, learn how to control our transitions from within and stretch into all 360 degrees of our center. Great for practitioners AND teachers! Dates and locations tBA soon!